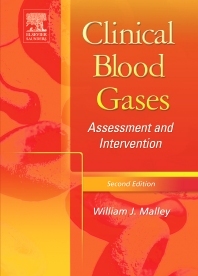 This text provides a thorough resource on arterial blood gases, covering the full scope of applications. This book is the first of its kind to focus on the needs of educators, students, and practitioners alike. The new edition has been completely updated, providing the latest information from the field, including facts on technical issues, basic physiology, clinical oxygenation, clinical acid base, non-invasive techniques, just to name a few. Instructor resources are available; please contact your Elsevier sales representative for details. This book's amazing content coverage offers a wealth of useful material, including illustrations, tables, examples, and case studies.